CentriLEAN Review: A Proven Weight Loss Miracle? 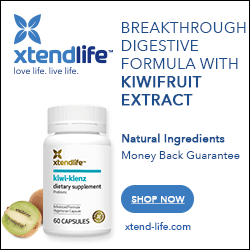 Home » Appetite Suppressants » CentriLEAN Review: A Proven Weight Loss Miracle? It does it all without you having to change your diet, or your lifestyle. In other words, if you keep doing what you’re doing and you take CentriLean, you’ll lose weight. First of all, there have been no published clinical studies performed on CentriLean. There have been studies performed on the product’s primary ingredient, but not on this product itself. Well, just because an ingredient included in a product has been studied does not mean the results extend to the product in question. For example, we do not know the potency or dosage of this product, and therefore cannot determine whether the amount of ingredient present correlates to the amount used in the positive studies. Second, stating your product is “clinically tested” when it is in fact not, is plain dishonest. So what’s actually in CentriLean? It appears to contain one ingredient only; amorphophallus konjac, or, as it is more commonly known, glucomannan. Despite its impressive sounding name, glucomannan, or konjac, is a simple fiber supplement. Now don’t get me wrong—that’s not a bad thing. In the full review of glucomannan, for instance, you can check out a large number of clinical references that demonstrate this ingredient’s benefits; not only for weight loss, but for its ability to lower LDL cholesterol, blood lipid levels and blood sugar levels. And what about its weight loss abilities? One study (Int J Obes. 1984;8(4):289-93) showed that 1 gram of glucomannan, taken with 8 oz. of water one hour prior to meals, has a significant influence on weight loss—almost 6 pounds of fat lost in two months, with no changes in eating habits (it should be noted that this equates to .75 lbs. of weight per week… hardly on “par” with the sort of results promised by the retailers of the more outrageous glucommannan-based weight loss products. It’s also well below what you could expect to attain on a well constructed diet and exercise plan). In other words, glucomannan certainly helps, but it’s no miracle pill. And the reason why you lose weight with it is the same reason you would lose with any fiber supplement; it fills you up so you eat less, and stay satisfied longer. Badda-bing, badda-boom. Simple. One of the things that makes glucomannan worth experimenting with is its cost. You can buy a full month’s worth of glucomannan (at the recommended dosage of 3 grams per day) for around $10. CentriLean, on the other hand, is incredibly expensive—a 30 pill bottle costs $40. And there’s no indication of how long these will last you at the dose used in the positive clinical study referenced above. The largest capsule size most people can tolerate is in the 500-600 mg range. If CentriLean contains 500 mg per capsule, you’d need 6 per day to obtain the necessary 3 grams per day. The bottle would therefore last a mere 5 days. The CentriLean retailers also offer a “$1” trial as a lure to get you to try the product. Don’t do it. You will be added to an automatic billing program, where you will be sent fresh product regularly and charged accordingly. Although we haven’t received any feedback about the CentriLean program yet, feedback to this site indicates these offers are nearly impossible to unsubscribe from (for more on what we call “the free trial scam”, please watch this video!). Glucomannan, as a low cost, weight loss experiment is worth a try (you can buy a month’s worth of the NOW brand glucomannan from our recommended online retailer, BodyBuilding.com, for around $10!). CentriLean, on the other hand, is extremely expensive—why pay the extra money for a product that is essentially glucomannan? Doesn’t make any sense to us. I’ve had the worst experience dealing with centrilean, a company that is out to get you. I returned the product because it wasn’t helping me. They had taken the money out of my debit card account on 6/15/09. I returned the product as specified for my refund on 7/15/09. They were supposed to refund the money within 10 business days. On 8/20/09 I called them for the refund that I hadn’t received yet. A rep told me she was sending it right away to my bank account. Unfortunately, I had closed it at the end of June, so I opened a different account with the same bank. I asked them to deposit it in the new account. I’ve been checking with my bank to see if they received my refund and they have not received it. I called centrilean and spoke with two reps. They confirmed to me that they haven’t sent my money back yet with no explanation whatsoever. I had an argument with both because now want to send it to my closed account. This is now 75 days after they received the returned product, and they guarantee the refund within ten business days. What do you call this company’s actions? I call it fraud and a scam and anything else in the book. Just imagine the return they get out of our money this way alone; many people forget or give up trying to get their refunds due to their fraudulent ways – they don’t want to deal with the headaches centrilean causes them. I think this is their way to prove their product causes weight loss – causing people so much stress and loss of appetite with their tactics. Next step is contacting the Attorney General’s office. I bought a 90 day supply of Centrilean. After faithful and timely usage of the product I requested a refund. I was informed that the refund policy was only good for 14 days. I advised them I had purchased a 90 day supply and presented them with a copy of the original invoice to prove that I had taken them timely and had requested the refund “within 14 days of completion of usage. They declined to refund my money because the 14 day guarantee was 14 days from purchase, not usage. Editor’s comments: James, this sort of behavior is pretty common; offering a “100% money back guarantee” but making it almost impossible to adhere to the terms and conditions thereof. It’s pretty difficult, obviously, to assess the value of the product in a couple of weeks. Thanks for letting us know. I ordered a 30 day supply of centrilean for $1 from TV. They mailed me 3 bottles (a 90 day supply). They were automatically going to charge me $60 for each additional bottle after 30 days. I am currently mailing the 2 bottles back to them so I don’t get charged $120. For your information – they did nothing for me. I thought about ordering the $1 also seen on tv but after reading the comments, i have changed my mind. thanks for the much info. I wish that someone had actually given Centrilean a try. I am much older now, and am ready to lose weight long term, past environmental weight gain psychology. There are hangups in life that just makes you gain weight, and it would be nice if something was there to counter the down days, when one is still focused on keeping their weight off, and need help with it. I hate to be the only one to give a product a try, but I did get a pretty good deal on it. I have looked all over the internet for feedback on Centrilean users, and all I find is do not buy this product. I am also skeptical, and want a refund. I think about the makers of products and if they got the money for their investment, but also as a little consumer with no money to throw away, I want a product that has really been proven to work. If I had the money to give away which sometimes people do, I would love to be a test subject. I am so glad I read these comments — you all have saved me money. I would not order this product now. zero. I ordered this thinking that I was getting a good deal. When I called to return the product they told me it was too late. So I am out almost $170.00. When I got billed the second time they told me it was too late to late to return the product, but I had no Idea that I was going to be billed a second time. This morning was the third time that I called back and the customer service guy insulted me and then disconnected the line. This is really a scam and I wish I had read these comments before I ordered the product. Well, I must be the exception to the rule. I ordered the special, three bottles for $1.00. Took them and lost weight, with no exercise. I was never billed for any other bottles and never received any other bottles, there have been no more charges to my account either. Now, I did not re order because I thought the pills too expensive, but for $1.00 for a trial, how could I go wrong? Anyway, that was my experience, with it.